Yesterday was culture day ! At Level 1, we learned about tea ceremony. 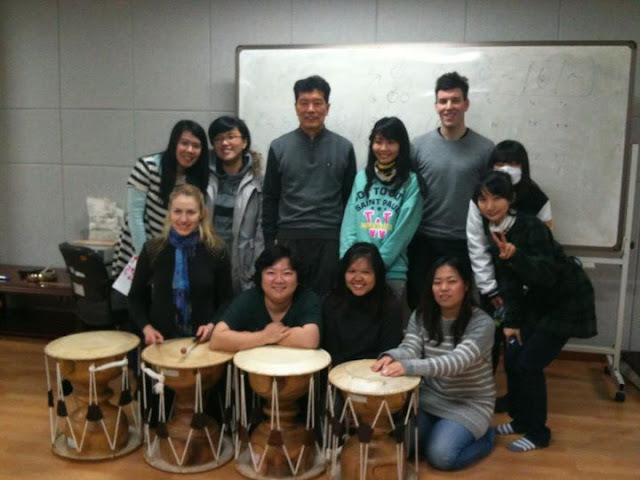 At Level 2, we learned how to play Janggu 장구 which is an instrument of samulnori 사물놀이 - traditional Korean percussion music - at National Gugak Center 국립국악원. These 2 friends were playing before the class. Group pictures before the class. The teacher. He plays the instruments really really well. It is so fun to see him enjoy the "dance" while playing the music. And then we went to have bbq! ahhh so nice! I really like to eat together with friends like this ! 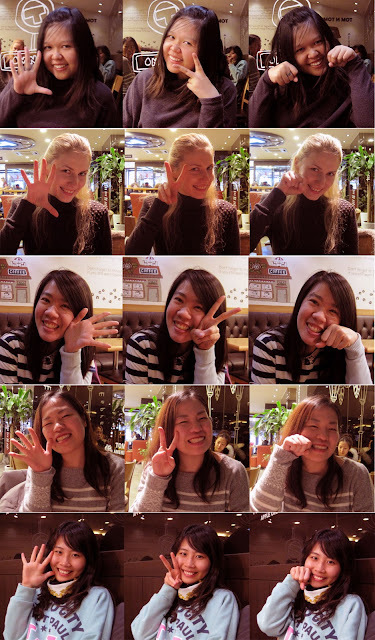 After that, we went to have coffee ! Choyyee taught us about these signs which is popular in China. It's "I love you".